At noon on Thursday, four brand new Burlington police recruits, dressed in dark suits and looking serious, arranged a lunch spread that included potato salad, sandwiches and peach pie. 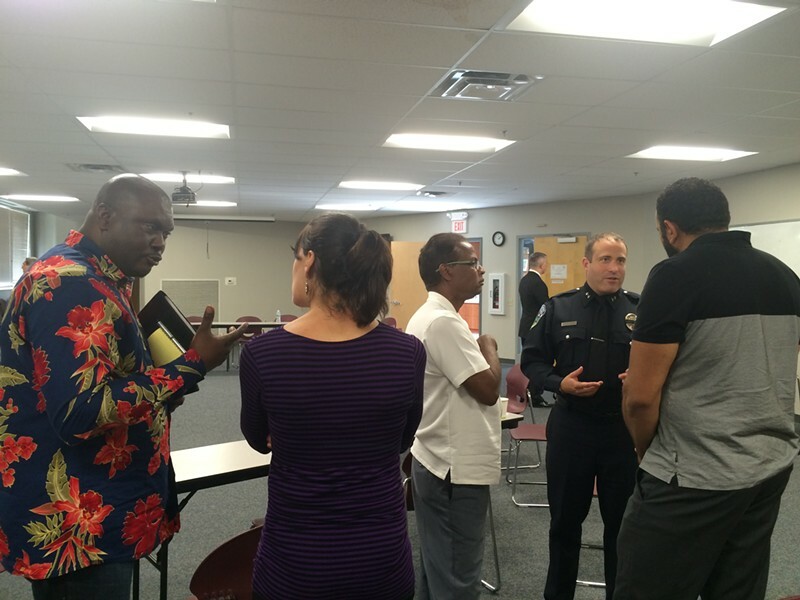 The Burlington Police Department was hosting about 20 imams, ministers, rabbis and nuns. They sat around plastic tables making small talk. Some came in ankle-length gray robes and clerical collars; others wore floral skirts. 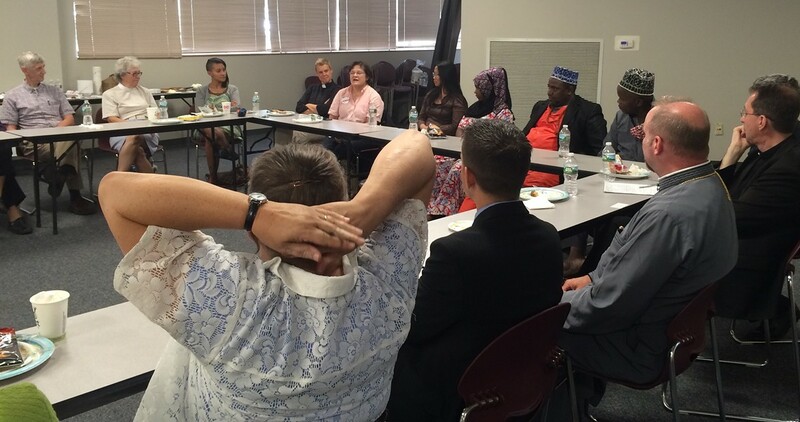 It was the third luncheon that Chief Brandon del Pozo has hosted for local clergy at the police department at 1 North Avenue — part of an effort to make inroads in the community at a time when mistrust toward police across the country is high. Del Pozo and his visiting friend, Dean Esserman, who is the police chief in New Haven, Conn., did most of the sermonizing at first. They emphasized the importance of sharing ideas across departments; del Pozo noted that he cribbed the luncheon concept from Esserman. Cléophace Mukeba, left, talks about diversifying the BPD ranks, while Chief Brandon del Pozo chats with Farhad Khan and Imam Islam of the Islamic Society of Vermont. When they turned over the floor, Sally May, an associate minister at Burlington’s First Congregational Church, asked del Pozo why police are reluctant to publicly weigh in on officer-involved shootings. “If other police will speak against it, it would do a heck of a lot for me and my confidence in police in general in this country,” she said, on the verge of tears. A little later, Cléophace Mukeba, a deacon at the First Congregational Church who fled the Democratic Republic of the Congo a decade ago, raised another criticism. “You can see already that there is no diversity,” he said gesturing towards the four recruits — all white males. Del Pozo, who had earlier acknowledged the uniformity of his new officers, noted that it generally takes “one to two generations” for members of new immigrant populations to begin to join police departments. Another challenge, he said, is the entry test required at the Vermont Police Academy, which includes outdated questions. Afterwards, Mukeba cornered the officer in charge of recruitment to press the point. Nearby, an imam chatted with a priest. Del Pozo told a reporter he was pleased that the conversation had gone beyond exchanging pleasantries.